Rahul Dravid: Rahul Dravid rewarded with "Pride of Karnataka"
Rahul Dravid rewarded with "Pride of Karnataka"
Gardener of MindTree Subroto Bagchi; Indian cricketer Rahul Dravid; Kannada cinema director Yogaraj Bhat; and co-founders of the non-governmental organisation (NGO), Janaagraha, Ramesh and Swati Ramanathan, were honoured with the award by NGO Round Table India in the city on Tuesday. 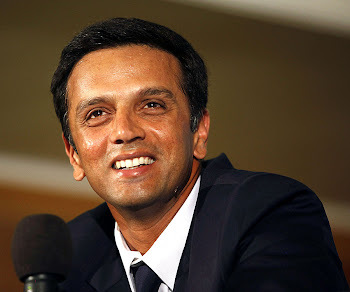 Dravid won the jury’s award in the field of sports. He said he was inspired by the NGO’s work spread over half a century. Congratulations to Rahul and all his fans!! !